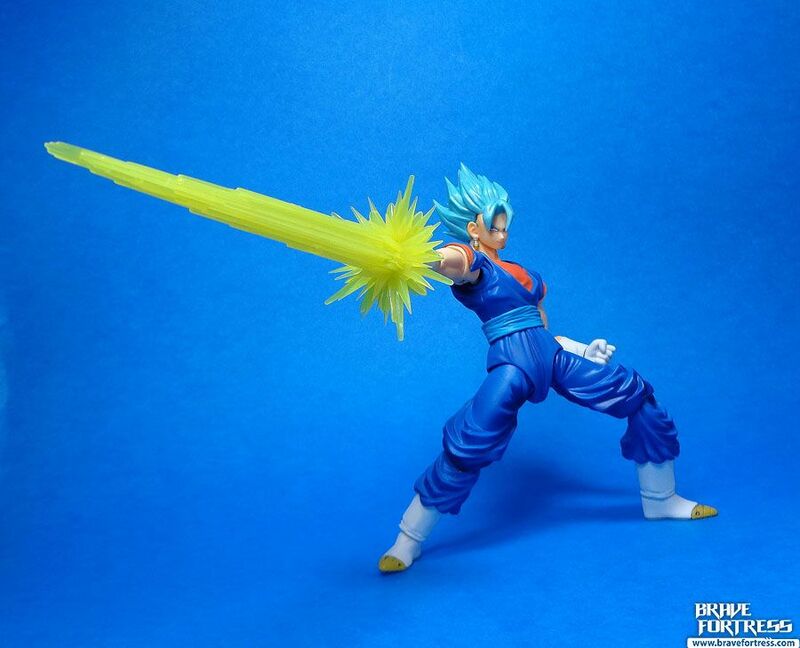 A big shout out to my good buddy Erik, who helped me get this figure at SRP at the Dragon Ball North America Tour 2018 at the Fan Expo in Canada. 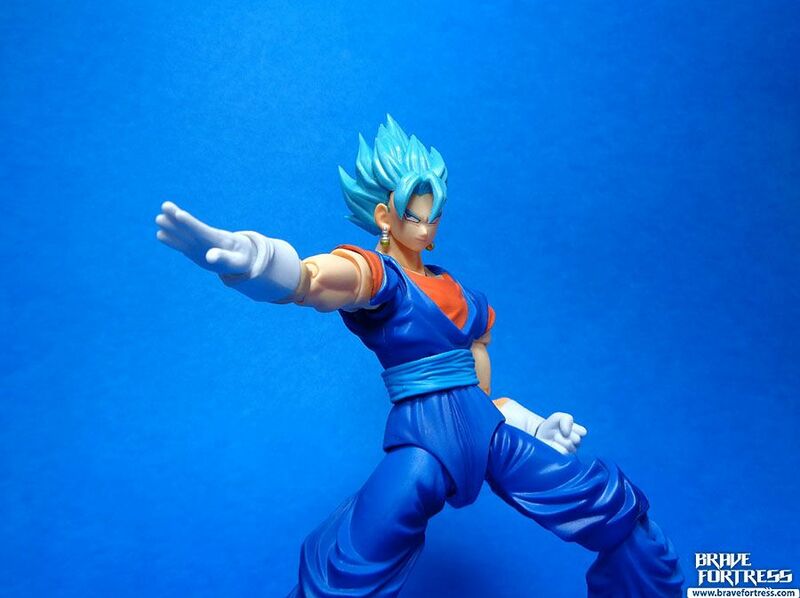 Thanks man! 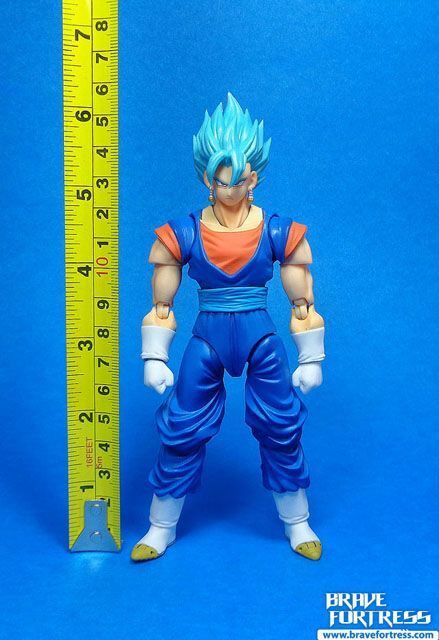 Vegetto measures roughly 6.25 inches, counting the tip of the hair, but without the hair, I guess a fair estimate would be 5.75 inches or so. 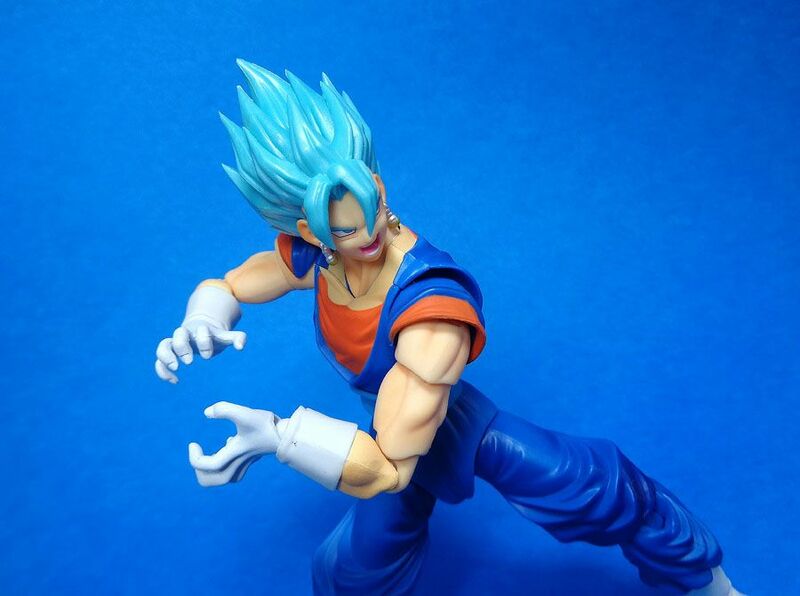 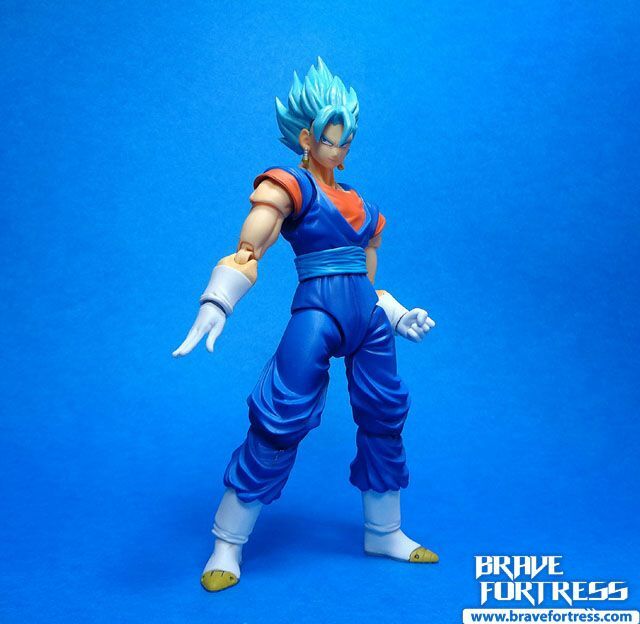 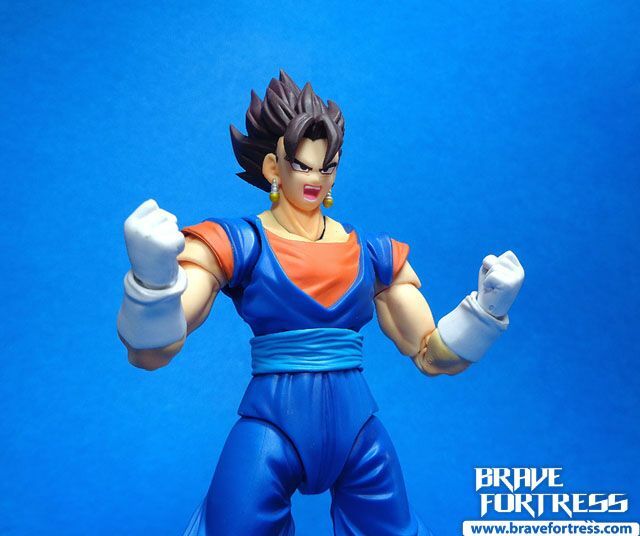 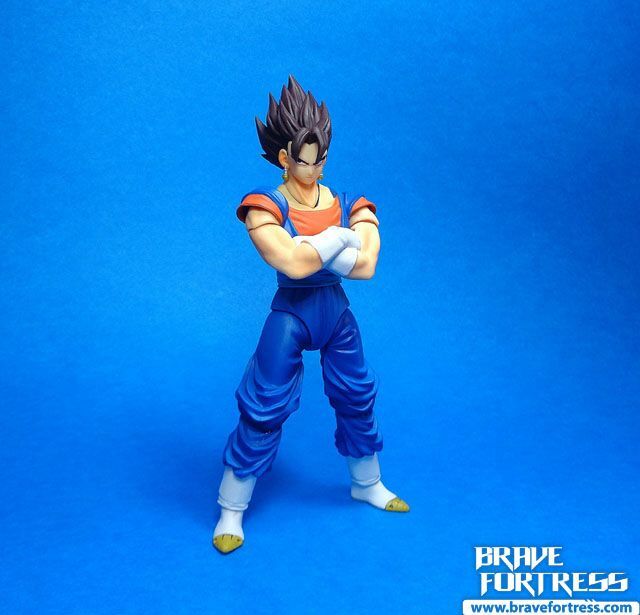 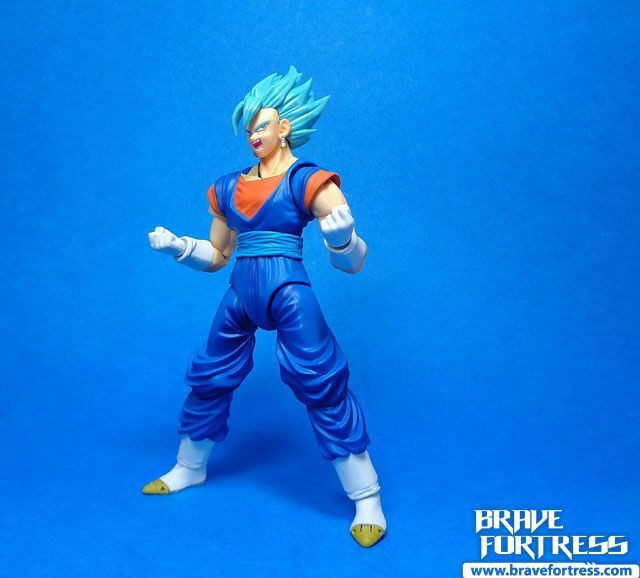 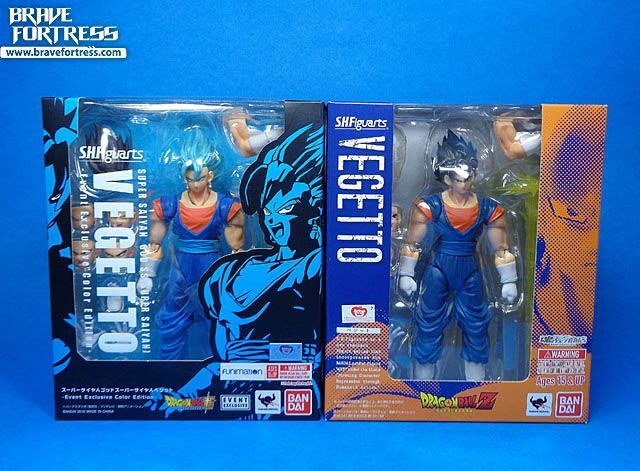 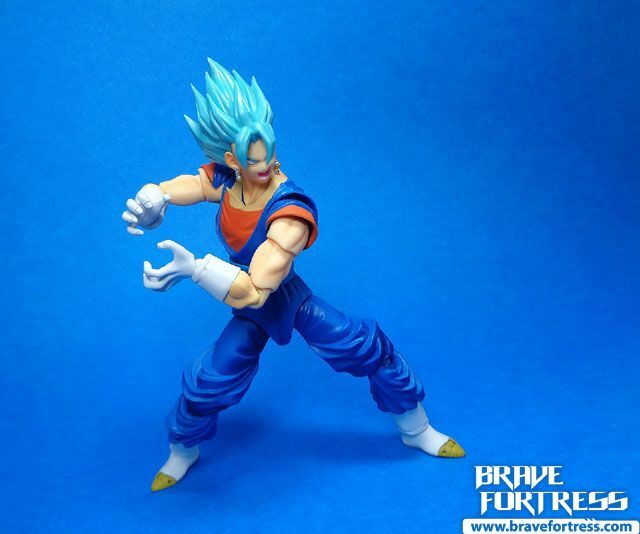 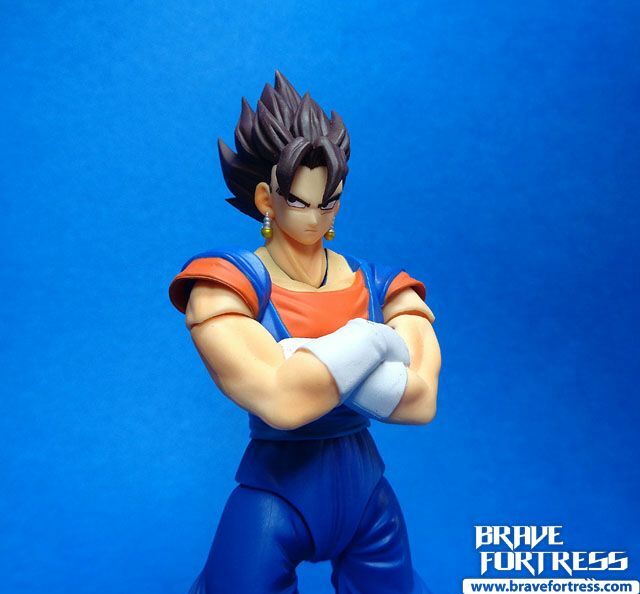 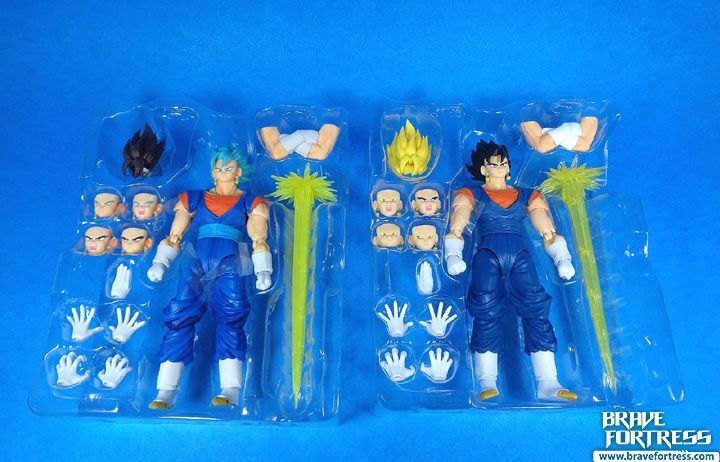 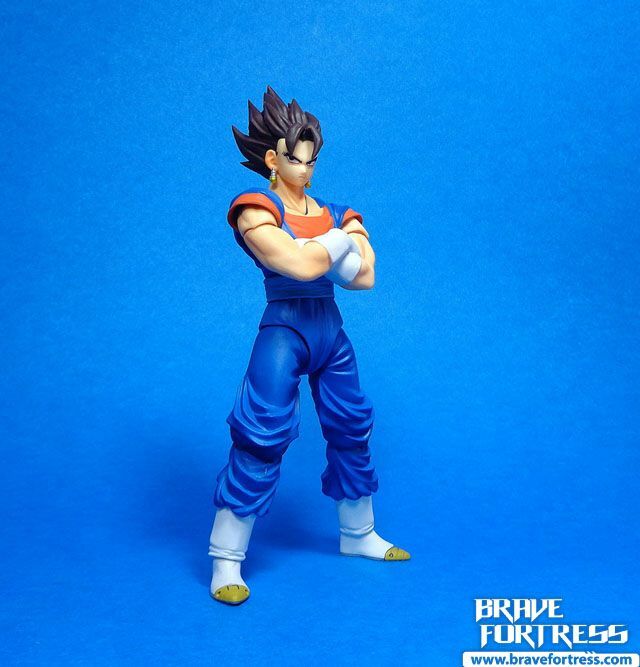 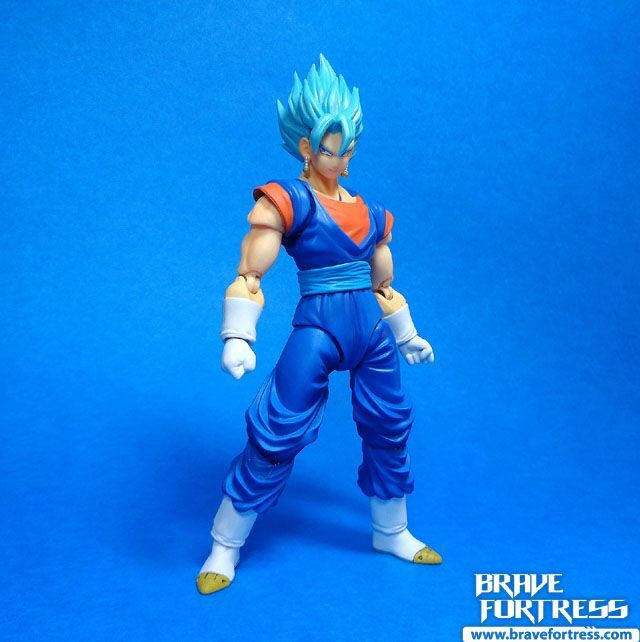 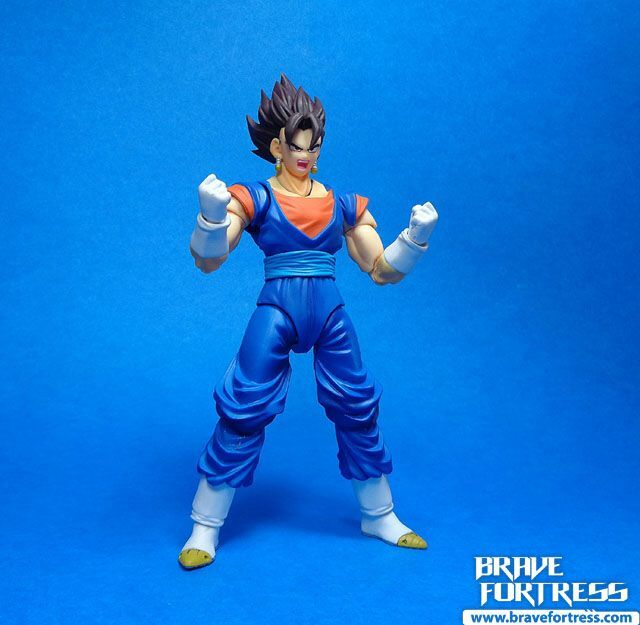 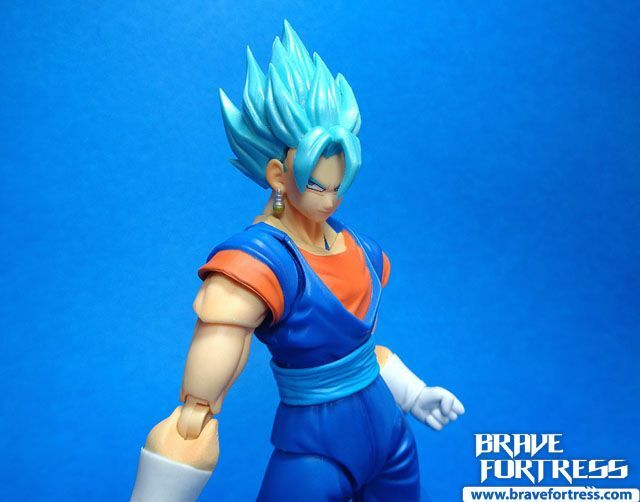 Vegetto comes with “normal” hair and face parts. 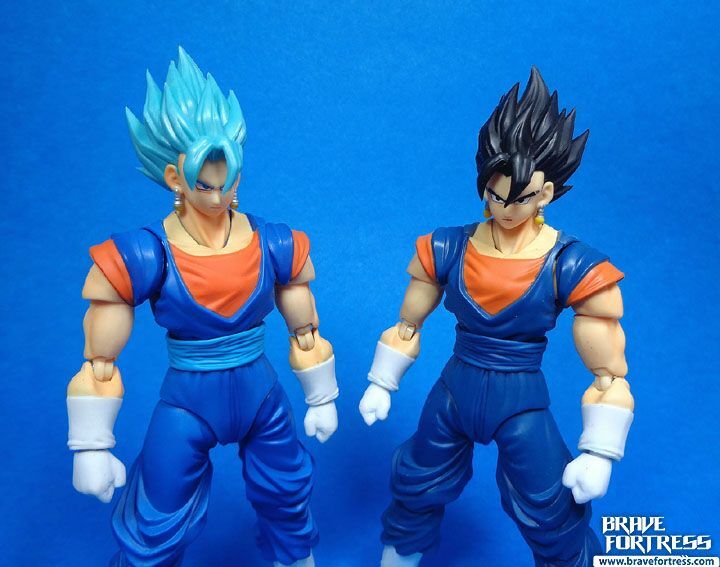 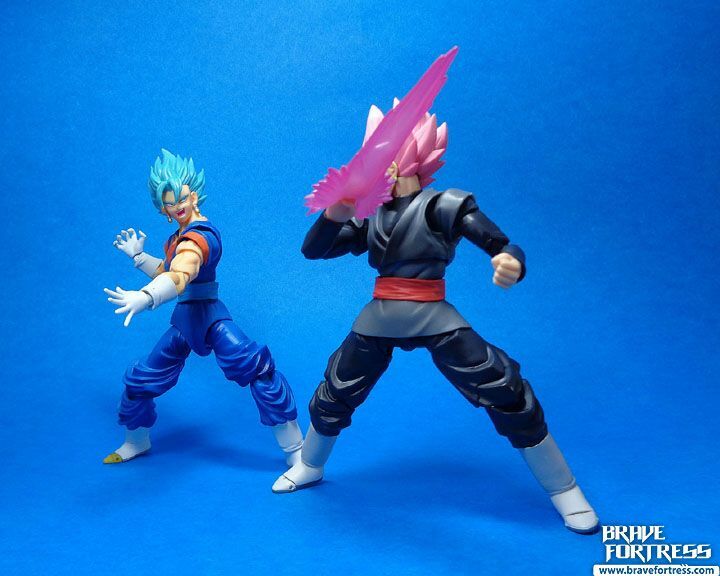 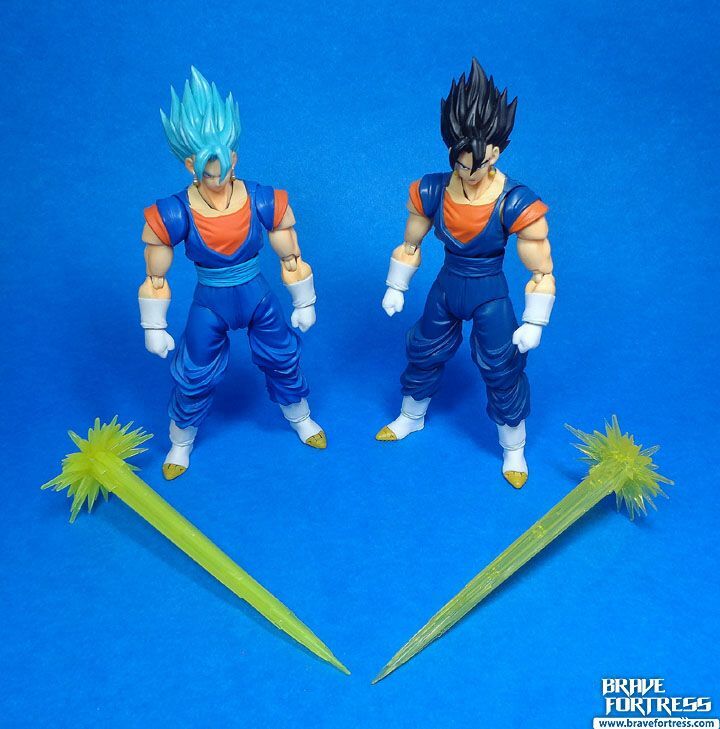 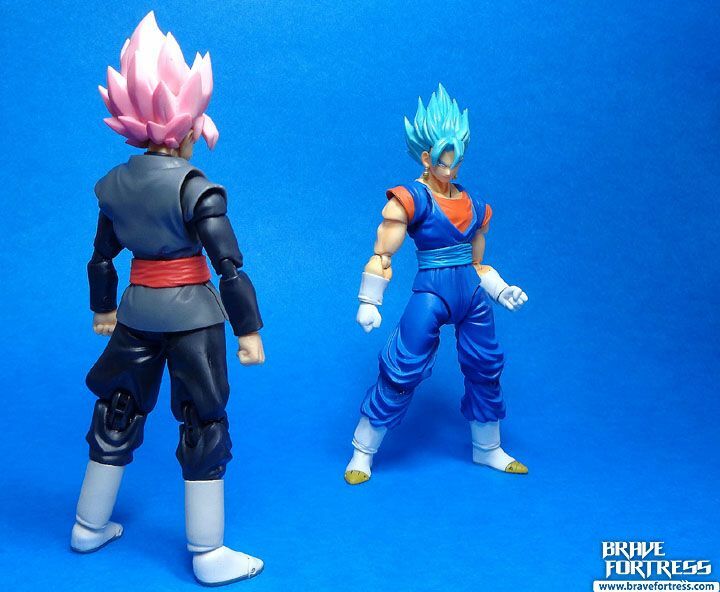 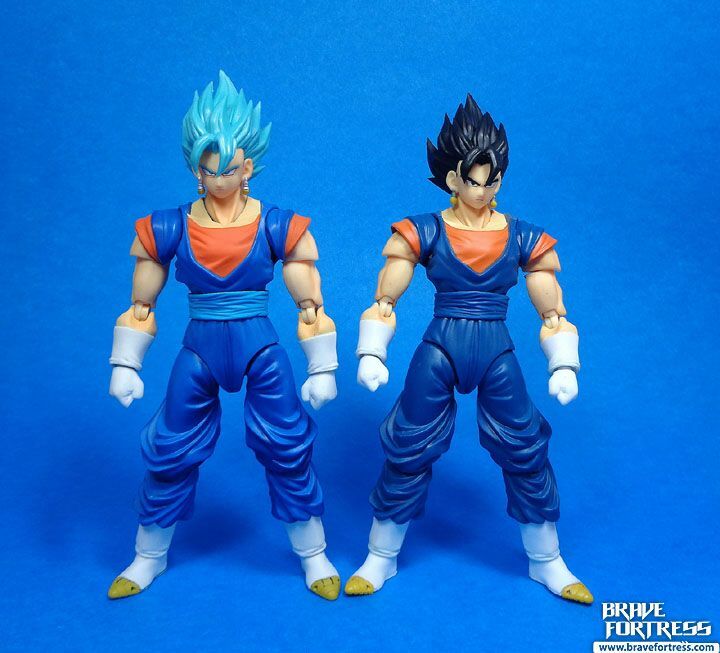 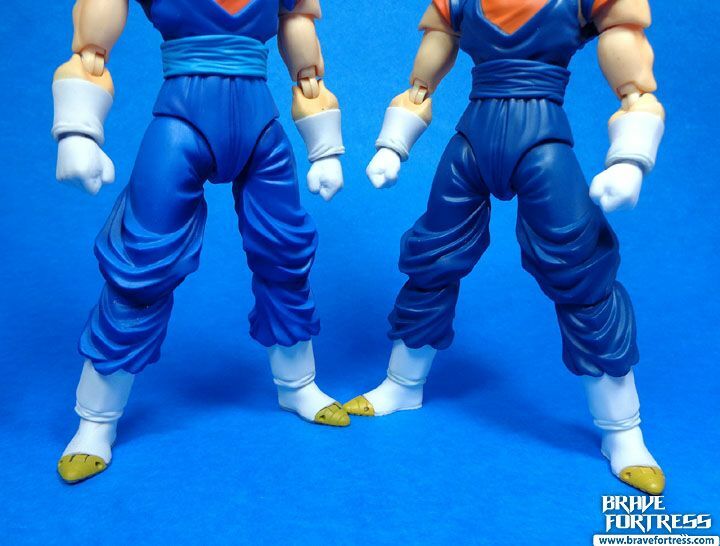 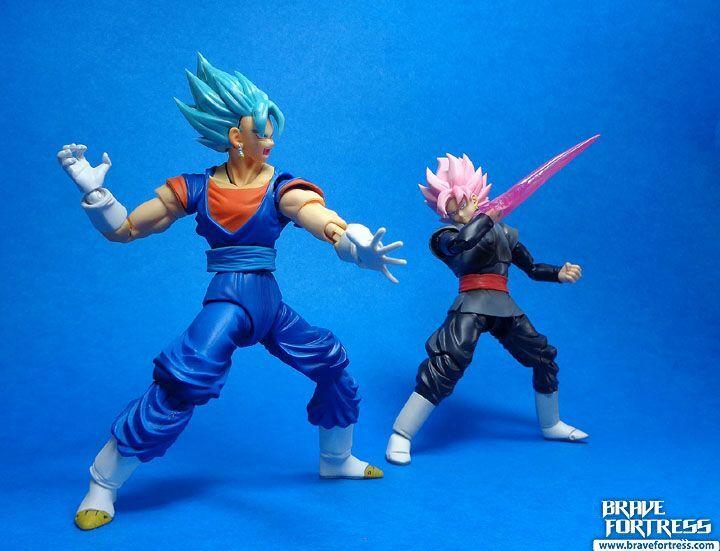 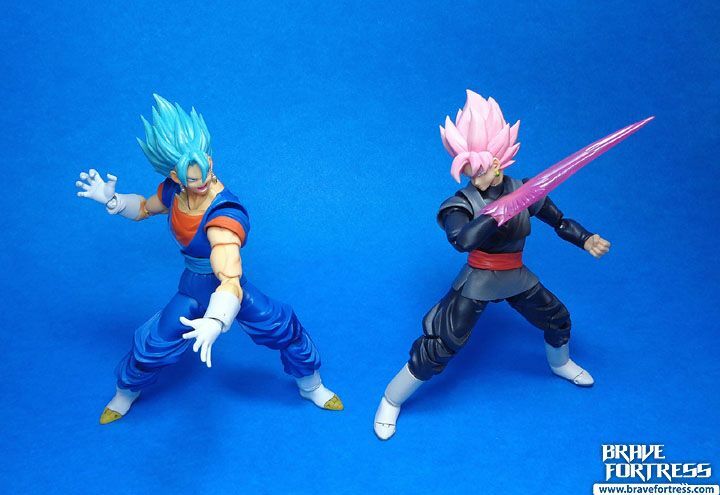 Comparison with the Tamashii Web Exclusive Super Saiyan Vegetto. 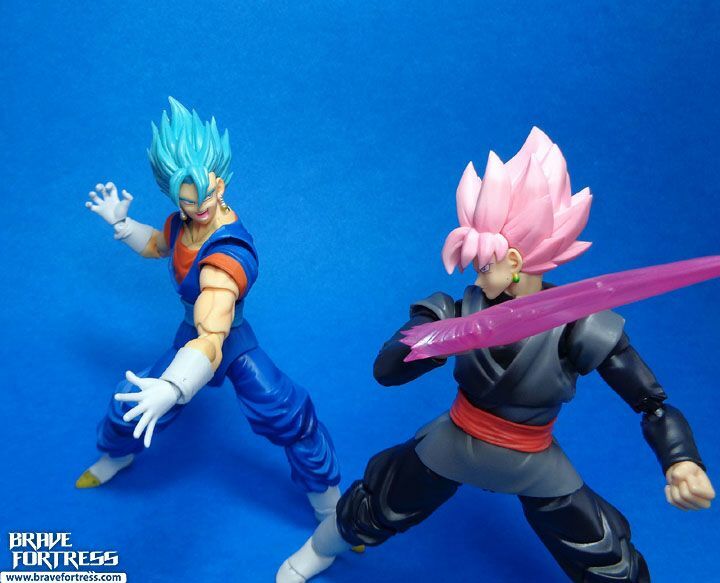 Versus Goku Black in Super Saiyan Rose form. 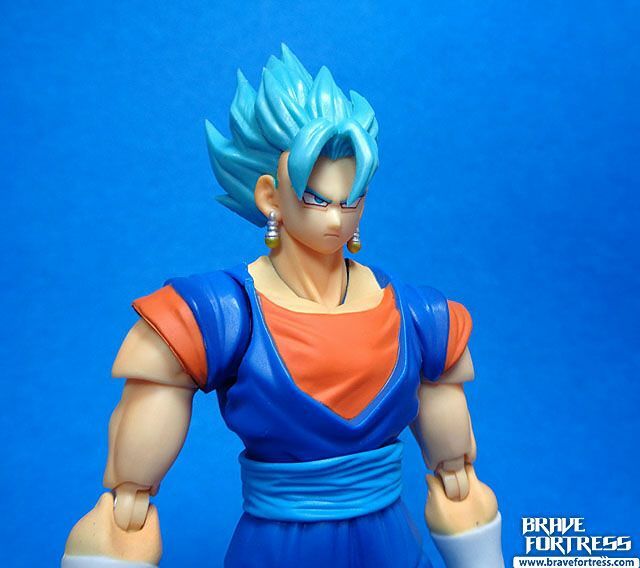 Since the Potara earrings are back (looks like there was more than one set, lol…) , I wonder if we’ll see this fella again in the future?